A thought-provoking video for a Friday. New Tablet & Desktop Landing Pages! Consistently branded. Fully synchronized. Totally awesome. We’ve expanded our platform to include tablet & desktop sites! You can use InSequent for all your website hosting! All your content and branding (along with your domain name) are consistent and all incoming traffic is automatically directed to the optimal site. Your customers are guaranteed a great experience on any device. You can easily manage your entire online presence and your mobile marketing programs in one place. When you run digital ad campaigns (mobile & desktop), point all traffic to your tablet & desktop URL. Tablet & desktop users will go to your tablet & desktop landing page, and mobile users will go to your mobile landing page. Your ad traffic is guaranteed an optimal viewing experience from impression to conversion. It’s simple. 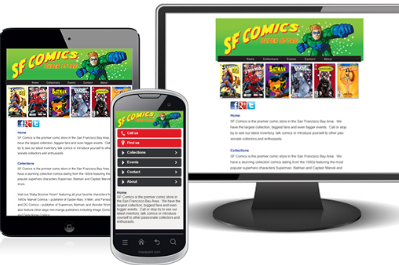 When you create your mobile site you also create a tablet & desktop version. From one editor you can change content on each site individually or synchronize them. That’s it. For only $15/mo. you can get our Mobile, Tablet & Desktop Package. Here’s the cool part, it’s FREE with all Bronze, Silver and Gold accounts. Interested in learning more? Contact us at info@insequent.com to get setup with a demo account today.